(Minghui.org) Dalian City attorney Mr. Wang Yonghang represented Falun Gong practitioners in several cases and entered not-guilty pleas for them. CCP officials arrested him in 2009 and sent him to Dabei Prison in Shenyang City with a 7-year term of imprisonment. The brutal torture in the past six months put him in a life-threatening condition. Right now, he has symptoms of TB as well as pleural and peritoneal effusions. In addition, his lower body has become numb and he is nearly paralyzed. His right ankle, which was injured by police during the arrest three years ago, never fully recovered and he has difficulty walking. Mr. Wang is now very weak and even has difficulty speaking. Mr. Wang’s wife requested many times to visit him, but was always denied by the prison officials. Due to the CCP’s persecution, this couple has not seen each other for three years. We recently learned that Mr. Wang is currently detained in Ward No.1 of Shenyang First Prison. Because of long-term detention and brutal torture, he is now very weak and emaciated. After the guards handcuffed him for extended periods of time, he had difficulty sleeping. For quite a long time the guards not only deprived him of water, but also subjected him to solitary confinement. Although Mr. Wang is in a life-threatening condition and needs immediate medical care, prison officials still refuse to release him. 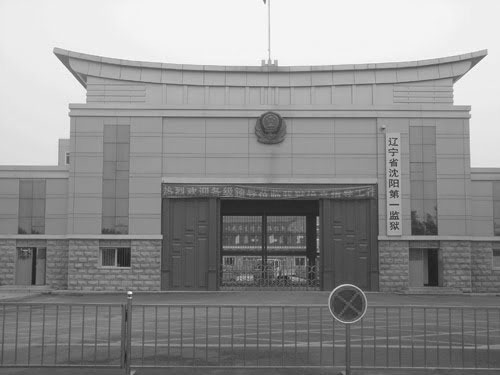 Even while Mr. Wang was being tortured inside the prison, in order to shirk responsibility for his deteriorating condition, officials lied and told outsiders that his health was good. Mr. Wang is the second lawyer, after lawyer Gao Zhisheng (who also supported Falun Gong practitioners), to receive such a heavy sentence. A report that the Falun Gong Human Rights Working Group submitted to the United Nations in December 2009 provided the specific details of Mr. Wang''s illegal detention and sentencing, and also recorded the names and workplaces of the CCP law enforcement personnel who have participated in persecuting him. Mr. Wang''s case was included in the United Nations'' 2010 Annual Report. Mr. Wang Yonghang was an attorney at Qianjun Law Office in Liaoning Province. He had provided legal assistance to Falun Gong practitioners several times since 2007. He published seven articles on The Epoch Times website, including an open letter addressed to the highest judicial office in China. In his open letter, entitled “Mistakes Made in the Past Demand That Amends Be Made Quickly Today”, Mr. Wang pointed out that the CCP authorities control both the legislative and judicial systems without checks and balances, and have used them to persecute Falun Gong believers under the guise of law. He exposed the unlawful nature of the persecution, and requested the highest judicial authorities recognize the seriousness of the problem, immediately correct their mistakes, and release all illegally detained practitioners. As a result, placed under great pressure, the law firm where he worked terminated his employment. His attorney certification was taken away and is being held by the authorities. On July 4, 2009, the police illegally arrested Mr. Wang. According to sources within the police system, this arrest was ordered by Zhou Yongkang, China''s highest official in charge of law and order and a member of the Standing Committee of the Politburo. After the arrest, the police beat Mr. Wang until the bones in his right foot were fractured. Because of delayed treatment, the fracture led to a serious infection. On August 10, he was taken to a hospital for an operation. While he was detained in the Dalian Detention Center, Mr. Wang held a hunger strike to protest the physical abuse and mistreatment of Falun Gong practitioners. A prison doctor and criminal inmates force-fed him. The first insertion of a feeding tube caused his respiratory tract to bleed. He was almost suffocated after several more insertions. He was then handcuffed and restrained on the ground for 48 hours. On November 27, 2009, Mr. Wang was sentenced to seven years in prison. He was taken to the Shenyang No. 1 Prison in Liaoning Province on April 22, 2010. On the evening of October 11, 2010, while being held in Ward No. 18, Mr. Wang was brutally beaten by several criminals instructed by prison guards. He was subjected to another round of beating on the morning of October 12, 2010, and then placed in solitary confinement. He suffered greatly both physically and mentally.